Let's take a look through the trailer for Fallout 76 and see what we can dig up. Its Twitch stream did enough to keep us glued and fixated to our screens, and we were rightfully rewarded with exactly what we’d all thought was on the agenda. With its “Please Stand By” teaser trailer setting the tone early, the eventual teaser trailer set the internet alight ahead of June’s E3 gaming extravaganza in Los Angeles. Unlike its Fallout 4 announcement back at E3 2015, Bethesda couldn’t keep a lid on it ahead of the event, but at least now people are prepared and ready, and know exactly what to expect ahead of the show in a few week’s time. So what did the trailer tell us? Not much. 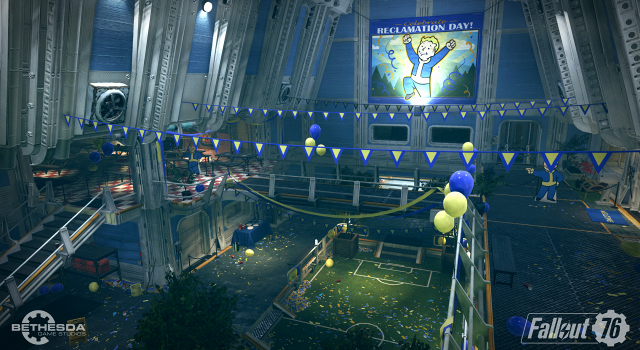 We see the stock-standard home of one of the franchise’s iconic vaults, with celebrations of “Reclamation Day” ringing throughout the clip. We have a small yet significant insight into the game’s setting, but it would be a drop in the ocean compared to what’s actually on offer in the game, that much we know for sure. Let’s take a look through the trailer and see what we can dig up. 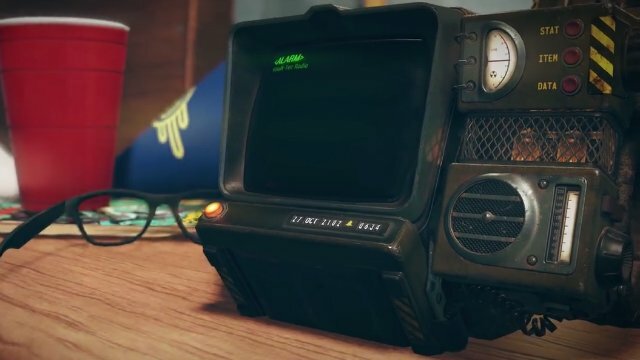 Perhaps the most obvious hint of when Fallout 76 takes place is the actual date on the Pip-Boy, which reads October 2102, 6:34 am. Interestingly, that means that, should the game actually be set during that time, it would make for the earliest setting of a Fallout game yet. It may also be an indication of the date before a major incident, similar to what we see at the start of Fallout 4 before fast forwarding many years into the future. The Fallout timeline is a complicated and convoluted one, but we at least know that, should that date have significance in the grander scheme of the game’s timeline, that it would be set before The Master’s grand mutant plan. But the game’s setting could be a little more complicated than all of this. 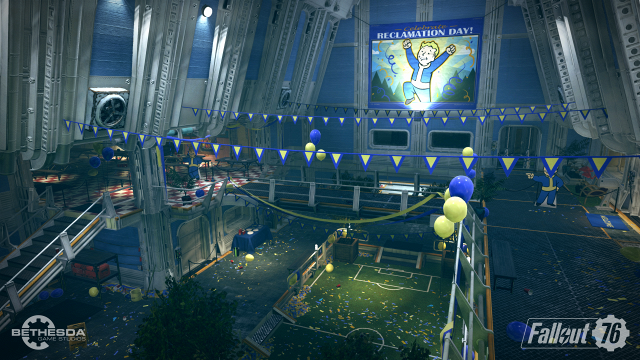 Vault 76 alludes to the American Revolution — 1776 — and we know that Vault 76 actually opened in the year 2076. Recent leaks point to an online multiplayer RPG, but does the trailer tell us anything about what we can expect on the gameplay front? 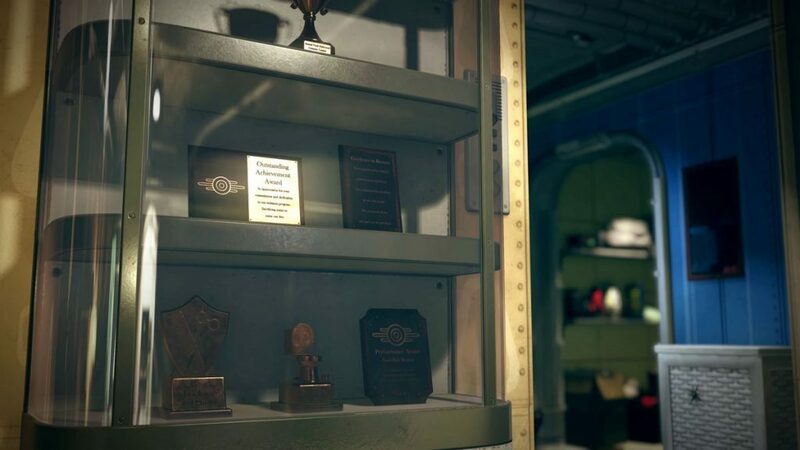 If you take a look at the trophy case, you’ll see trophies for things like “Excellence in Bravery” and “Best Hair”. The awards go from trivial everyday acts, to things like “Bravery”, which mustn’t be rewarded lightly. That could indicate a pretty long period between when our main player actually started their time in the vault, to the time the game is actually set in. There’s also an award for “Vault Hall Monitor” and “Outstanding Achievement”. Reclamation means the process of claiming something back. When you look at the settings of the party that’s been thrown in the vault, and the large image look over the soccer field — palm trees — it’s clear that everyone in the Vault has left for, erm, greener pastures. The song throughout the trailer is John Denver’s “Take Me Home, Country Roads”. The palm trees on the Reclamation Day trailer, the song, the timing. All of this points to a rural setting. Could we be heading for the deep south in Fallout 76? What are your thoughts on the trailer? Did I miss anything? Sound off in the comments below!